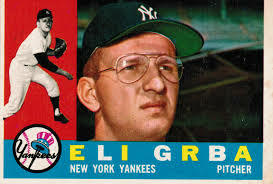 Happy Birthday to former Yankee pitcher Eli Grba. I remember watching Eli pitch at Comiskey Park during the summer of 1959. For a teenager in Chicago, I will always remember that season because it was the first time in my life that the White Sox made it to the World Series. Chicago had a lot of second and third place teams in the 1950’s, but it was the Yankees who dominated. It was exciting because Casey Stengel’s Yankees were in town – Mickey Mantle, Yogi Berra, Enos Slaughter, Bobby Richardson, Tony Kubek – and Eli, who was the Yankees starting pitcher. Eli was also from Chicago and this was his rookie season; I think it may have been his first appearance at Comiskey. I remember my first time pitching in Chicago, so I understand how nervous Eli must have been. And he was pitching against Early Wynn, who would later be inducted into the Baseball Hall of Fame. One of the things I remember is how good Eli was. I think his first three innings were 1-2-3 innings. He got stars like Luis Aparicio and Nellie Fox out. And he got a hit of his own off of Early. 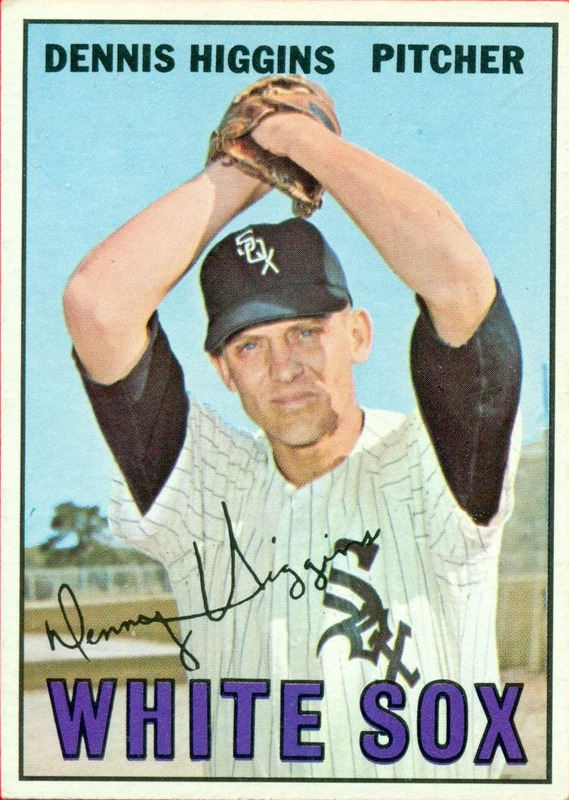 I remember the White Sox won that day – Early was enjoying a resurgence and was pitching like he did when he was the star for the Cleveland Indians. But I also remember some cheers for Chicago’s favorite son, who pitched very well that day in front of his family, friends and fans. Eli was originally signed by the Red Sox, but the Yankees got him in a trade for Bill Renna. He sacrificed a couple of years from his career to serve in the military and I thank him for his service. And he got to the World Series in 1960 after a fairly successful season for the Yankees. I remember watching one of his first games of that season when the Yankees were in town playing the White Sox. Early was again pitching for Chicago. This time, Eli was the winning pitcher. Later on that summer, Eli hit a Home Run off Early at Yankee Stadium. The Yankees left Eli unprotected in the 1962 expansion draft and the new California Angeles grabbed him. He struck out over 100 batters that year, for a club that finished eighth. Eli was the first Angel pitcher ever; he pitched opening day against the Orioles at Memorial Stadium and won the first game in team history. A complete game. 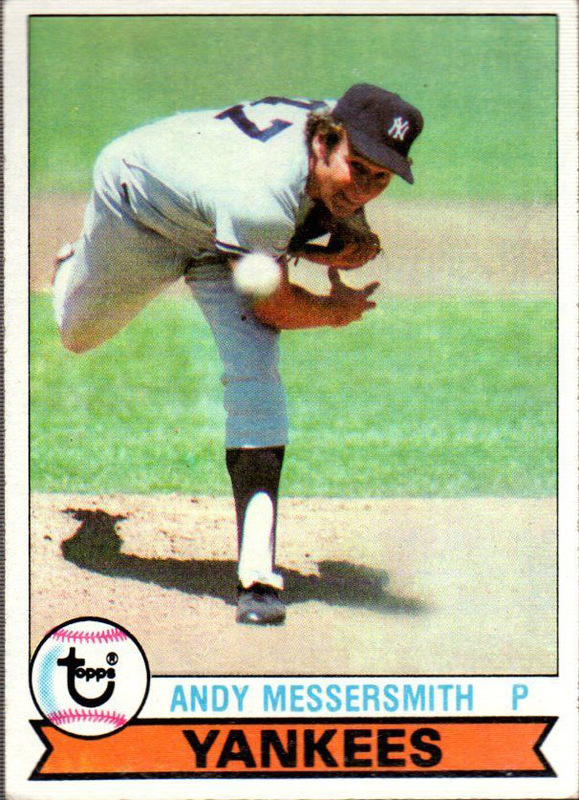 He played in that historic first franchise game with Ken Aspromonte, who would later be my manager when I was traded to Cleveland. Years later, I heard that in his first appearance back at Yankee Stadium wearing an Angels uniform, Yogi hit a first inning single, followed by The Mick hitter a Home Run. That’s the way the Yankees are – competitive, no matter what. Eli is my Facebook friend and he comments frequently on my posts remembering other ballplayers from our day. I appreciate that he reads my reminiscences, and hope that he will enjoy his 81st birthday and many, many more with good health and happiness. 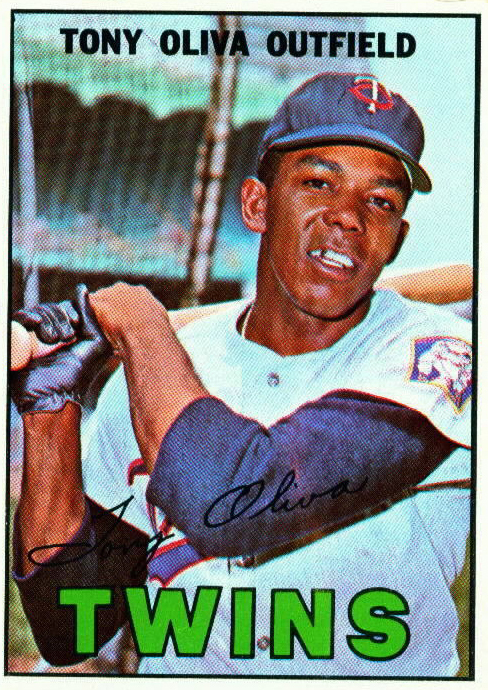 Happy Birthday to Tony Oliva, one of the best hitters I saw during my eleven years as a major league pitcher. Tony played for the Minnesota Twins for his entire career, from 1962 to 1976. 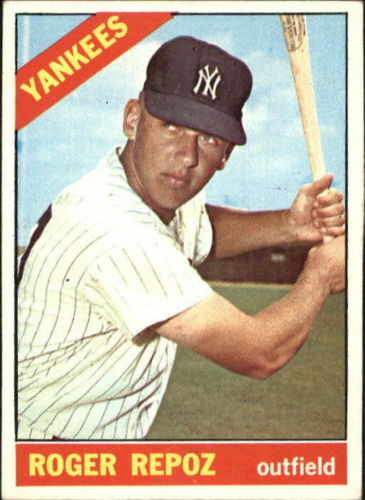 He won the American League batting title three times, including his rookie year in 1964 (and was second or third four times). He had a career .304 batting average. Tony did especially well when I pitched: his batting average popped to .321, 18-for-36. I only struck him out twice. I faced Tony for the first time early in my rookie season. It was May 12, 1966 at Metropolitan Stadium and I was throwing against veteran pitcher Camilo Pascual. I got him out the first time I faced him, in a 1-2-3 first inning. In the third inning, Earl Battey hit a leadoff single. I struck out Bernie Allen. Then Camilo hit a single to Mickey Mantle in center, moving Earl to second. Cesar Tovar hit a single to essentially the same spot, and the Twins scored two runs. 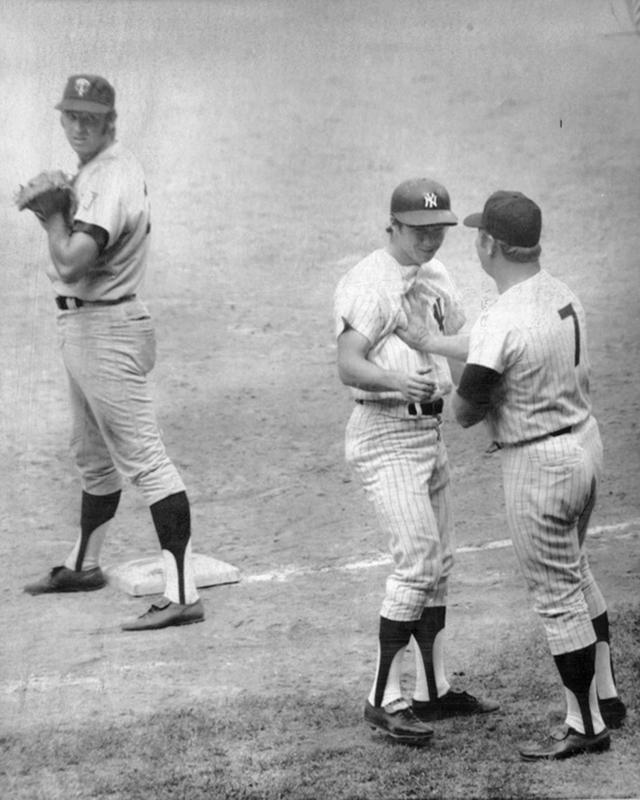 Then Tony came up with and singled to Roger Maris in right, scoring Caesar. We were down 3-0. 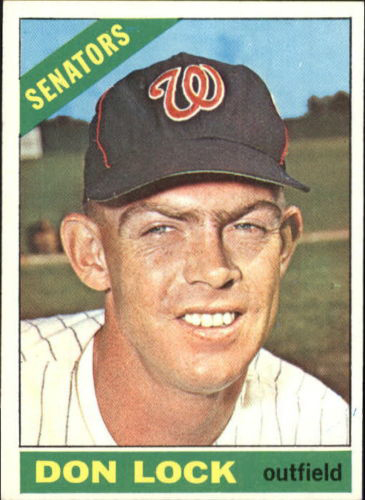 Ralph Houk yanked me the next inning, after giving up three singles and a run (and in my defense, two strikeouts). We lost that game, 4-3. It wasn’t until 1970 that I was able to stop him from hitting safely in a game I was pitching.